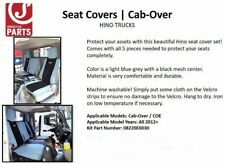 New Hino COE (Cabover) Seat Covers, includes the driver and passenger seat covers as pictured above. Fits all 2012 & Newer Cabover Hino's. 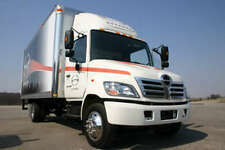 We have the complete kits for the 2006 Hino 165. 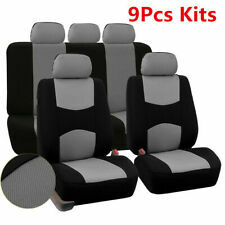 These seat covers are available in any of our 60 colors. 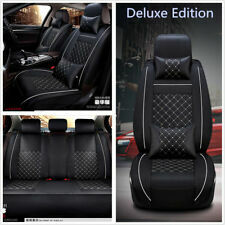 Front Seat Covers. 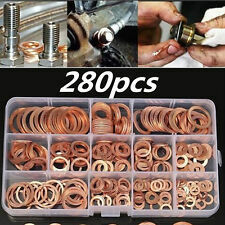 These leather upgarde kits are designed to replace original cloth covers. Contact Us Free Shipping 100% Satisfaction Guaranteed Product Images Neoprene 2-Tone Black & Charcoal Gray Available Colors Request Color Samples 2-Tone Neoprene Black Charcoal Gray 2-Tone Neoprene Black Medium Gray 2-Tone Neoprene Black Tan 2-Tone Neoprene Black Red 2-Tone Neoprene Black Orange 2-Tone Neoprene Black Yellow 2-Tone Neoprene Black Synergy Green 2-Tone Neoprene Black Blue 2-Tone Neoprene Black Hawaiian Black 2-Tone Neoprene Black Hawaiian Blue 2-Tone Neoprene Black Hawaiian Red Solid Neoprene Black 2-Tone Realtree Hardwoods Solid Realtree Hardwoods Coverking Custom Seat Covers normally ship within 10-15 business days. Please allow an additional 1-5 days for UPS or FedEx to deliver your order. Coverking Custom Seat . Contact Us Free Shipping 100% Satisfaction Guaranteed Product Images Neosupreme 2-Tone Black & Charcoal Gray Available Colors Request Color Samples 2-Tone Neosupreme Black Charcoal Gray 2-Tone Neosupreme Black Gray 2-Tone Neosupreme Black Tan 2-Tone Neosupreme Black Blue 2-Tone Neosupreme Black Red Solid Neosupreme Black Coverking Custom Seat Covers normally ship within 10-15 business days. Please allow an additional 1-5 days for UPS or FedEx to deliver your order. Coverking Custom Seat Covers Neosupreme Front Row - 6 Color Options Product Details Coverage: Front Row Seats Material: Neosupreme Warranty: 2 Year Warranty Shipping: Free Shipping to 48 Contiguous States Only. There is an extra charge for HI, AK & International Remarks:. 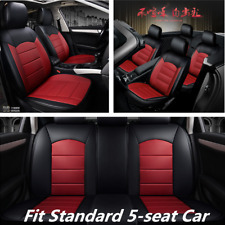 Contact Us Free Shipping 100% Satisfaction Guaranteed Product Images Leather Black Available Colors Request Color Samples Leather Black Leather Beige Leather Gray Coverking Custom Seat Covers normally ship within 10-15 business days. Please allow an additional 1-5 days for UPS or FedEx to deliver your order. 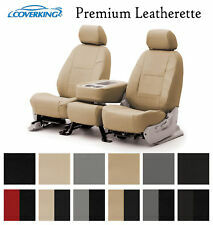 Coverking Custom Seat Covers Genuine Leather Front Row - 3 Color Options Product Details Coverage: Front Row Seats Material: Genuine Leather Warranty: 2 Year Warranty Shipping: Free Shipping to 48 Contiguous States Only. There is an extra charge for HI, AK & International Remarks: Coverking Custom Seat Covers are "Custom Fit" and "Made-to-Order" for your specific vehicle Product Overview • Made from a combination of authentic, highly. Contact Us Free Shipping 100% Satisfaction Guaranteed Product Images Saddle Blanket Black Available Colors Request Color Samples Saddle Blanket BlackSaddle Blanket Black - Currently Out of Stock --> Saddle Blanket Dark Blue Saddle Blanket Tan Saddle Blanket Wine Coverking Custom Seat Covers normally ship within 10-15 business days. Please allow an additional 1-5 days for UPS or FedEx to deliver your order. Coverking Custom Seat Covers Saddle Blanket Front Row - 4 Color Options Product Details Coverage: Front Row Seats Material: Saddle Blanket Warranty: 2 Year Warranty Shipping: Free Shipping to 48 Contiguous States Only. 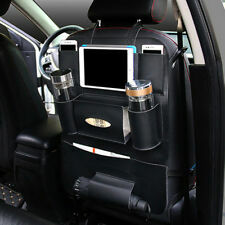 There is an extra charge for HI, AK & International Remarks: Coverking Custom Seat Covers are "Custom . 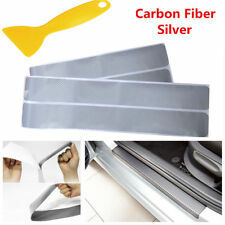 Contact Us Free Shipping 100% Satisfaction Guaranteed Product Images Polycotton Drill Black Available Colors Request Color Samples Polycotton Drill Black Polycotton Drill Medium Gray Polycotton Drill Light Gray Polycotton Drill Tan Polycotton Drill Cashmere Coverking Custom Seat Covers normally ship within 10-15 business days. Please allow an additional 1-5 days for UPS or FedEx to deliver your order. 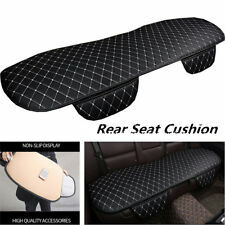 Coverking Custom Seat Covers Polycotton Drill Front Row - 5 Color Options Product Details Coverage: Front Row Seats Material: Polycotton Drill Warranty: 2 Year Warranty Shipping: Free Shipping to 48 Contiguous States Only. 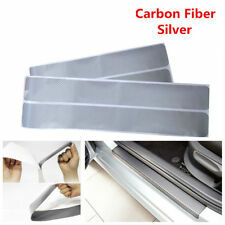 There is an extra charge for HI, AK & International Remarks: Coverking Custom Seat Covers are "Custom Fit" and . Contact Us Free Shipping 100% Satisfaction Guaranteed Product Images Velour Solid Gray Available Colors Request Color Samples Solid Black Solid Charcoal Solid Gray Solid Taupe Solid Beige Solid Tan Solid Dark Blue Coverking Custom Seat Covers normally ship within 10-15 business days. Please allow an additional 1-5 days for UPS or FedEx to deliver your order. Coverking Custom Seat Covers Velour Front Row - 7 Color Options Product Details Coverage: Front Row Seats Material: Velour Warranty: 2 Year Warranty Shipping: Free Shipping to 48 Contiguous States Only. There is an extra charge for HI, AK & International Remarks: Coverking Custom Seat Covers are "Custom Fit" and "Made-to-Order" for your specific vehicle Product Overview • . Contact Us Free Shipping 100% Satisfaction Guaranteed Product Images Mossy Oak Break-Up Available Colors Request Color Samples 2-Tone Mossy Oak Break-Up 2-Tone Mossy Oak Break-Up Infinity 2-Tone Mossy Oak Treestand 2-Tone Mossy Oak Obsession 2-Tone Mossy Oak Duck Blind 2-Tone Mossy Oak Bottomland 2-Tone Mossy Oak Shadow Grass Blades 2-Tone Mossy Oak Brush Solid Mossy Oak Break-Up Solid Mossy Oak Break-Up Infinity Solid Mossy Oak Treestand Solid Mossy Oak Obsession Solid Mossy Oak Duck Blind Solid Mossy Oak Bottomland Solid Mossy Oak Shadow Grass Blades Solid Mossy Oak Brush Coverking Custom Seat Covers normally ship within 10-15 business days. Please allow an additional 1-5 days for UPS or FedEx to deliver your order. Coverking Custom . 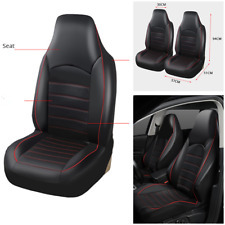 Contact Us Free Shipping 100% Satisfaction Guaranteed Product Images Rhinohide Black Available Colors Request Color Samples Rhinohide Black Rhinohide Sand Rhinohide Steel Gray Coverking Custom Seat Covers normally ship within 10-15 business days. Please allow an additional 1-5 days for UPS or FedEx to deliver your order. Coverking Custom Seat Covers Rhinohide Front Row - 3 Color Options Product Details Coverage: Front Row Seats Material: Rhinohide (Vinyl) Warranty: 5 Year Warranty Shipping: Free Shipping to 48 Contiguous States Only. There is an extra charge for HI, AK & International Remarks: Coverking Custom Seat Covers are "Custom Fit" and "Made-to-Order" for your specific vehicle Product Overview • Leather texture and appearance • Made. Contact Us Free Shipping 100% Satisfaction Guaranteed Product Images Snuggle Plush Black Available Colors Request Color Samples Snuggle Plush Black Snuggle Plush Gray Coverking Custom Seat Covers normally ship within 10-15 business days. Please allow an additional 1-5 days for UPS or FedEx to deliver your order. Coverking Custom Seat Covers Snuggle Plush Front Row - 2 Color Options Product Details Coverage: Front Row Seats Material: Snuggle Plush Warranty: 2 Year Warranty Shipping: Free Shipping to 48 Contiguous States Only. There is an extra charge for HI, AK & International Remarks: Coverking Custom Seat Covers are "Custom Fit" and "Made-to-Order" for your specific vehicle Product Overview • Soft, plush, fur-like fabric provides the ultimate.